Members $5 and Non-Members $10 at the door. Appetizers - Entertainment - Networking - 50/50 Drawing! Bring your business cards for the raffle! FUN! 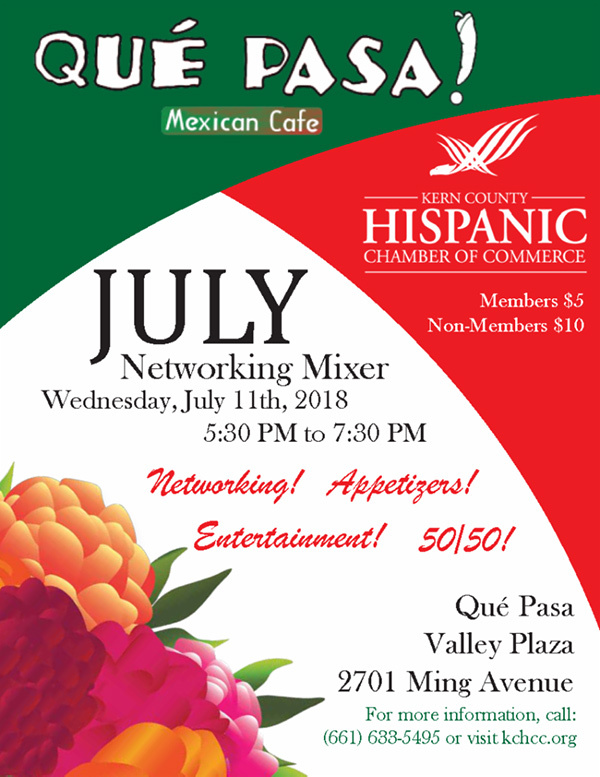 If you'd like to donate a raffle prize and get some exposure in front of Bakersfield finest professionals - please attach your business card to the item and present at the mixer entrance upon arrival! Thank You! For more information, call: 661-633-5495 (KCHCC) or visitKCHCC.ORG.